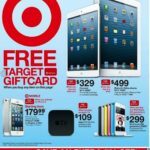 A week ago, British website We Are Social’s senior analyst Ed Kitchingman wrote “Apple’s iPhone 5 is the most hated handset — while the majority of people love the Samsung Galaxy S4, study finds”, which was echoed by a bunch of popular blogs (mostly by those who would write just about anything to get the clicks). Following up on the story, Philip Elmer-Dewitt of Fortune tracked down the original source, only to find out that the ‘most loved’, ‘most hated’ report was totally misinterpreted. 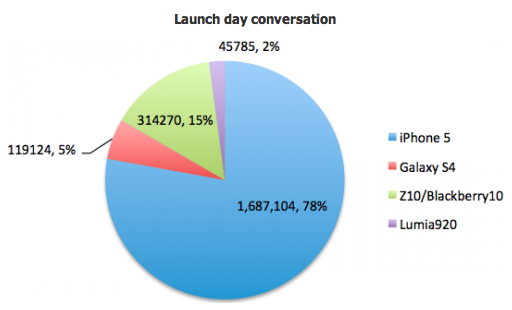 It appears what the research actually found was that the iPhone 5 dominated by far the launch day conversations on Twitter and other social media platforms. However, its competitors like Samsung and Blackberry did an even better job of “steering the discussion”. For instance, Samsung used social media to engage its fans more aggressively, offering sneak previews and encouraging them to “meet the next Galaxy” at its New York City launch event. To read the full report from We Are Social, hit up this link.